After Christmas, all of us Crocheters will be like what to do next. Made lots of gifts, Beanies, Scarves, Cup Cozies. Banners and what not. So here is what we all got to do next after the Christmas Celebrations and New Years. 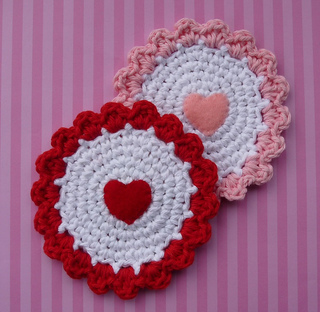 Crochet Some beautiful Heart Coasters for Valentine’s Day for your friends or your home just to have that Valentine touch. We are sure you would love these patterns. 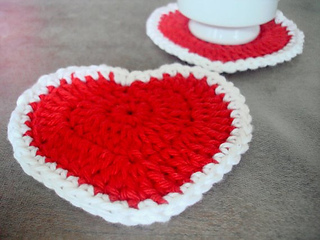 Valentine Heart Coaster by Mom’s Love of Crochet is a nice pattern made using size 10 thread. 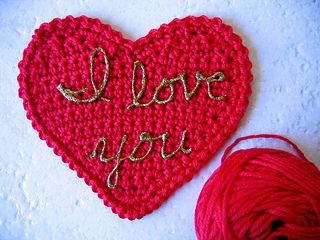 Valentine’s Heart Coaster by Doni Speigle is a nice one made using Worsted weight yarn and a 4.5mm. The pattern is available as a Ravelry Download. 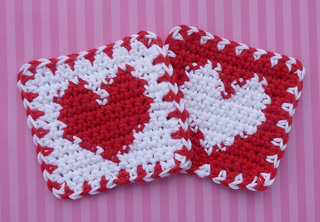 Heart Shaped Coasters by Adina Volokitkin is a good pattern made using Worsted weight yarn and a 5.5mm crochet hook. 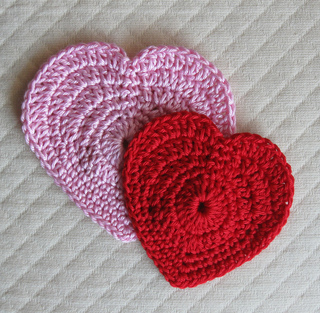 Heart Coaster by Doni Speigle is a lovely pattern made using Worsted weight yarn and a 4.00mm crochet hook. The pattern is available as a Free Ravelry Download. Candy Hearts Coaster by Doni Speigle beautifully made using Worsted weight yarn. the pattern is available as a Free Ravelry Download. 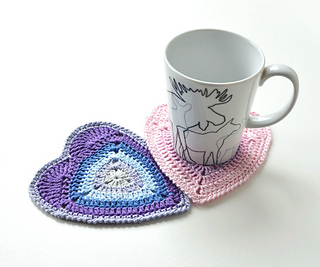 Ombre Heart Coaster by Tatsiana Kupryianchyk is a nice pattern made using Sport weight and a 2.5mm crochet hook. 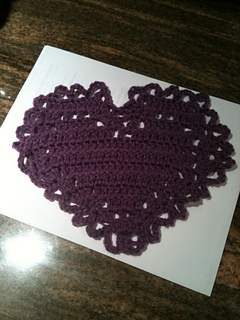 Heart Coaster by Susan Lowman is a good pattern made using Worsted weight yarn and a 5.5mm crochet hook. The pattern is available as a Free Ravelry Download. 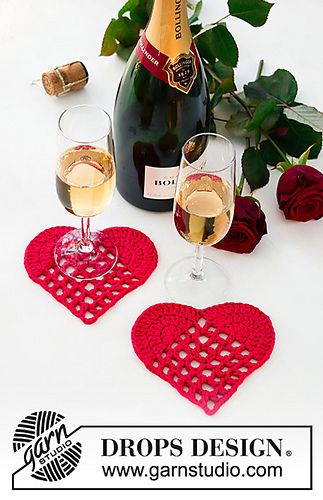 Time for Romance by DROPS design is a lovely pattern made using Aran weight yarn ad a 4.00mm crochet hook. 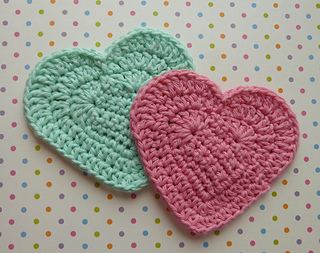 Simple Hearts by Phyllis Serbes made using DK weight yarn and a 3.5mm crochet hook. The pattern is available as a Free Ravelry download. 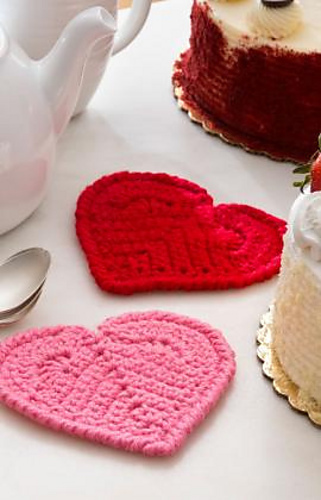 Sweet Hearts by Bella Dia is a beautiful pattern made using Worsted weight yarn and a 5.00mm crochet hook. 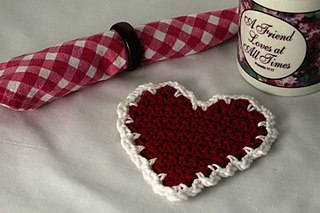 Valentine Heart Coaster by Andee Graves is a lovely pattern made using Aran weight yarn and a 5.00mm crochet hook. Want to try some other Valentine Goodies?? ?